Matudnila.com - A Cebu Events Blog: KakaoTalk new Features enables Events Planning Easy and hassle-free! Home Wonder Girls KakaoTalk new Features enables Events Planning Easy and hassle-free! 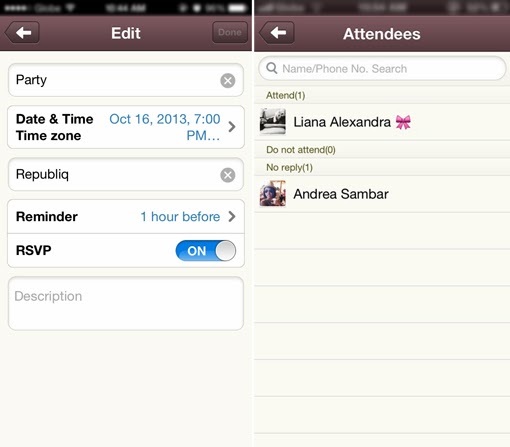 KakaoTalk new Features enables Events Planning Easy and hassle-free! If you and your circle of friends have asynchronous schedules and yet from different locations in the Metropolis, Party and Events Planning could be challenging and frustrating. What adds more to challenges is if you are in maze-like one-way streets and small alleyways to get lost in, describing your location to a friend can be very difficult. Kakao Corporation, the developer of KakaoTalk, has now offers New Features for one of the leading Social Networking App - KakaoTalk in the iOS App Store and Google Play that will reduce the hassle of planning and coordinating with your friends during party and events. 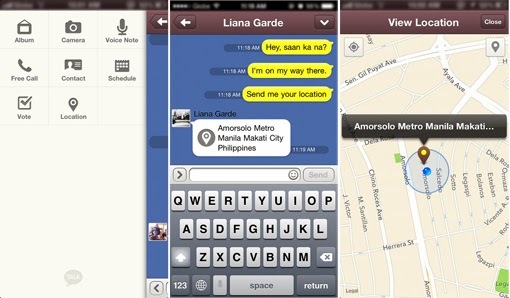 KakaoTalk Location Sharing feature gives you accurate updates of your friends current location. KakaoTalk’s Location Sharing feature lets your friends know where you are with only a few taps on your phone, instead of typing out the complete address. You can also share a favorite location using this new feature. Swipe the chat window to the right, you will discover a newly added 'Location' button in the hidden menu bar. Choose between your current whereabouts or location of choice by search, depending on the situation. Then, by clicking the 'Share Location' bubble, this information will automatically be shared to your group of friends in the chat room. Google Map for Android OS and Apple Maps for the iOS. To complement with KakaoTalk’s Location Sharing feature, you and your friends can now easily set a date for reunion and meetings between your friends with the help of its scheduling feature on KakaoTalk. “The scheduling feature goes hand in hand with the location sharing feature. Just plug in details such as the date, time and location, and send it off to your friends. You can keep easily track of who has confirmed or declined all within the app,” notes Jang. Now you will no longer be lost or late, use KakaoTalk’s new features and take control of your schedules. KakaoTalk is available on the iOS, Android, Blackberry, Windows, Bada and PC. 0 comments: on "KakaoTalk new Features enables Events Planning Easy and hassle-free!"